The setting: twenty-one 4th graders moving through a Scratch Curriculum that can be found on the ScratchEd community site for educators. There are an increasing amount of resources and ideas for using Scratch in the elementary grades including Wes Fryer's Scratch materials. The backdrop: Last December we use the Scratch online activity to make holiday cards for the Hour of Code. 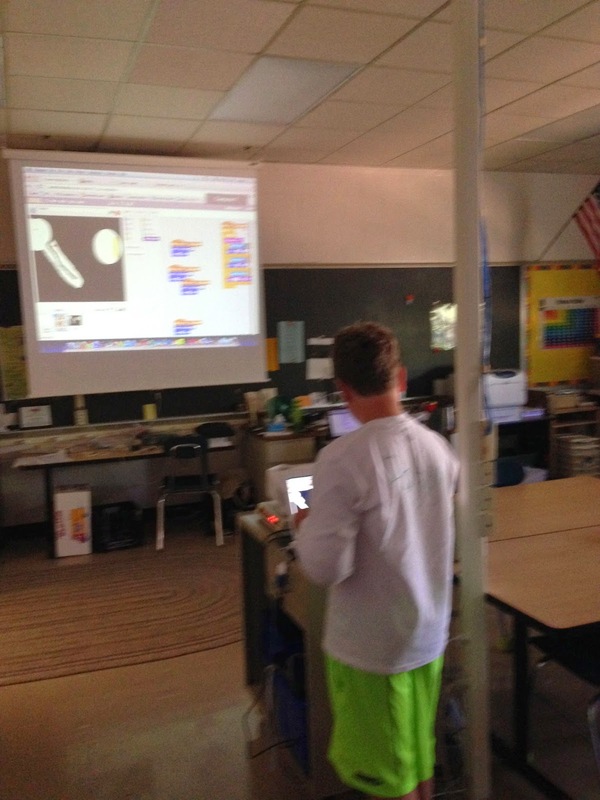 Middle school students came and helped 4th graders with this introduction to Scratch and coding. 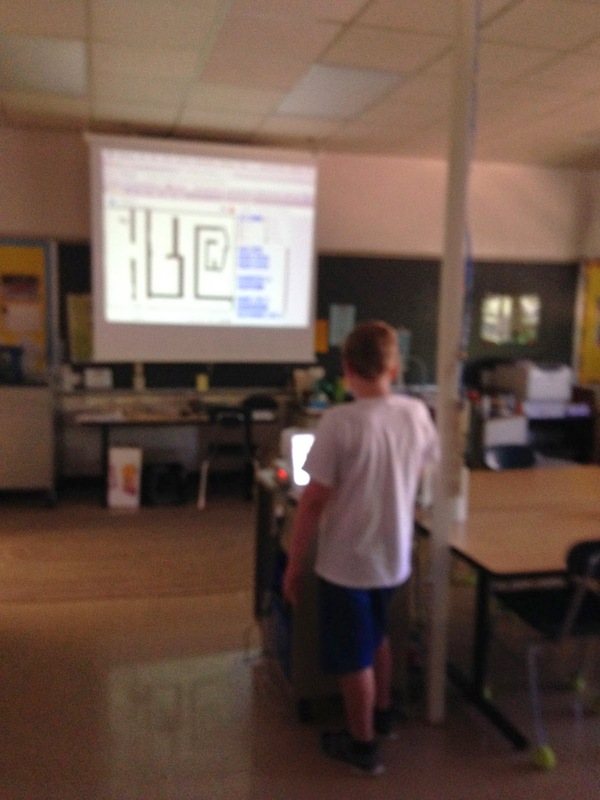 In late May of this year I worked with the 4th grade team to develop explorations in math instruction; twenty-one fourth graders worked with me on Scratch for two or three days a week. What it sounded like: The most common thing heard in the classroom each day was, "How'd you do that?". The spirit of communication, collaboration and creative exploration vibrated throughout the room. These photos and videos were captured with my cell phone as I was working with students so they are of limited quality, but they portray the activity and learning. We started with the tutorial on the Scratch website as a review for everyone. Then they were charged with the task of "making something surprising" happen and share it. 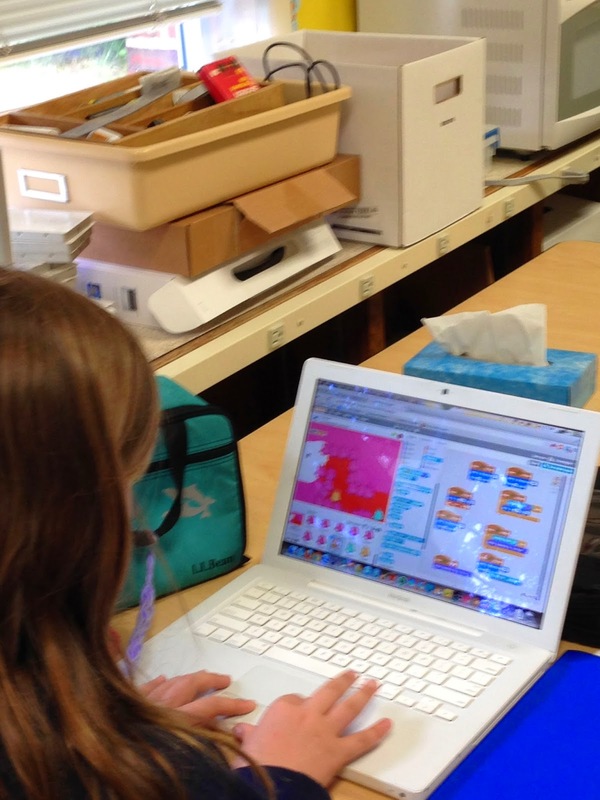 Scratch learning is designed to support collaboration and students often worked in teams. With parent permission they were able to join the Scratch online community, upload their projects and view the structure of posted projects. By the fourth class students were becoming experts at "debugging" scripts and moving on to making mazes, games and stories. At the end of each class students volunteered to share their projects and explain their learning. This series of classes stands out for me as one of the most enjoyable, stimulating teaching experiences I've had. The students were engaged, sharing their learning and making progress from one day to the next. High time for an example. We turn here to Scratch, a wonderful application created over the past two decades by Mitch Resnick, a valued colleague at MIT, and his colleagues. 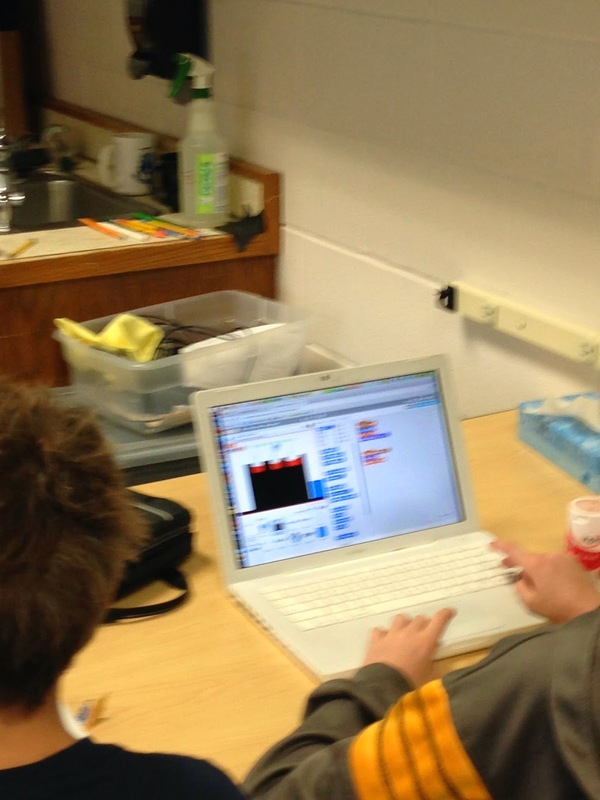 Building on Seymour Papert’s pioneering work with LOGO— a prototypical example of constructivist education— Scratch is a simple programming language accessible even to youngsters who have just reached school age. By piecing together forms that resemble pieces of a jigsaw puzzle, users of Scratch can create their own messages, be these stories, works of art, games, musical compositions, dances, or animated cartoons— indeed, just about any form in any kind of format. 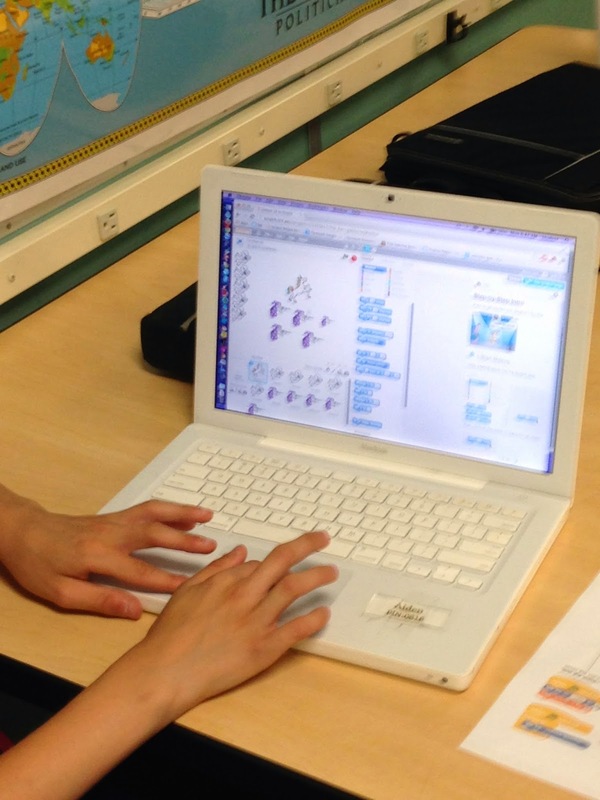 Moreover, users of Scratch can and do post their creations. Others around the world can visit these creations, react to them, build on them, and perhaps even re-create them in their own favored symbolic system. The genius of Scratch is twofold. First of all, it opens up a plethora of modes of expression, so that nearly every child can find an approach that is congenial with his or her own goals, strengths, and imaginations. Second, educational ends and priorities are not dictated from on high; rather, they can and do emerge from the child’s own explorations of the Scratch universe. In that sense, Scratch brings pleasure and comfort to those who believe in the constructivist view of knowledge. Not only are users building their own forms of meaning and constructing knowledge that they personally value, but they are epitomizing the claim of cognitivists that one learns by taking the initiative, making one’s own often instructive mistakes along the way, and then, on the basis of feedback from self and others, altering course and moving ahead. Howard, Gardner; Katie Davis (2013-10-22). The App Generation (p. 182). Yale University Press. Kindle Edition.